ALERT: Before you purchase, check with your instructor or review your course syllabus to ensure that you select the correct ISBN. Several versions of Pearson's MyLab & Mastering products exist for each title, including customized versions for individual schools, and registrations are not transferable. In addition, you may need a CourseID, provided by your instructor, to register for and use Pearson's MyLab & Mastering products. Packages Access codes for Pearson's MyLab & Mastering products may not be included when purchasing or renting from companies other than Pearson. check with the seller before completing your purchase. Used or rental books If you rent or purchase a used book with an access code, the access code may have been redeemed previously and you may have to purchase a new access code. Access codes Access codes that are purchased from sellers other than Pearson carry a higher risk of being either the wrong ISBN or a previously redeemed code. Check with the seller prior to purchase. -- Normal 0 false false false EN-US X-NONE X-NONE A perfect alternative to massive poetry anthologies, this brief, affordable collection of over 250 poems provides a concise yet comprehensive introduction to the study of poetry. 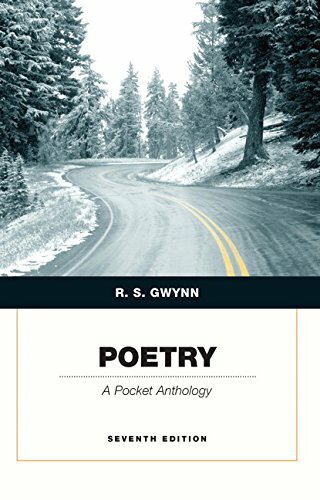 Authors new to this collection, including Amy Gerstler (named by the Los Angeles Times as “one of the best poets in the nation”), and award winners Rebecca Foust and Craig Arnold, provide ample evidence that poetry continues to flourish in today’s world. Young writers Ernest Hilbert and Erica Dawson bring poetry into the 21st century and provide inspiration for aspiring young poets.